Hard on the heels of a UK contract to supply tax stamps to help the UK meet new tobacco traceability requirements, De La Rue has signed several more. The contracts will see De La Rue deliver more than 3.5 billion tax stamps each year that will be applied on tobacco products sold in the France, Austria, Sweden, Finland and Cyprus, more than tripling its annual volume of authentication labels in fiscal 2019/2020. 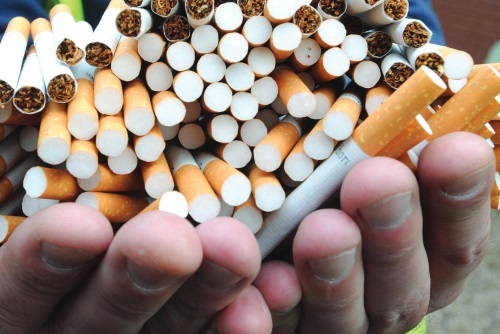 The five additional contracts come shortly after De La Rue unveiled a contract to supply tobacco tax stamps for the UK, worth £3.5m ($4.65m) over the next five years, which will see it implement a digital track and trace system for all tobacco products sold in the UK. The company will manage the service on behalf of HMRC with the estimated 57,000 economic operators serving the UK tobacco sector. The stamps contain visible and invisible security features which are required to enable authorities and consumers to verify the authenticity of the tobacco products. De La Rue says it has been investing heavily to boost its capabilities in PAT, including installing a £10m ($) production line in Malta last year to increase capacity and flexibility for tax stamps and secure labels. “De La Rue also invests continuously to enhance DLR Certify, the software platform that underpins its track and trace solution,” it said in a statement. Tobacco still remains the biggest avoidable cause of premature death in the EU, and the illicit trade in tobacco products facilitates access to cigarettes and other tobacco products, including for children and young adults. Millions of euros in tax revenues are lost every year as a result of the illicit trade.